Silver Silence is the first novel of the Psy-Changeling Trinity Series (or the 16th novel of the Psy-Changeling Series) by Nalini Singh. Psy, changelings and humans have come together under the Trinity Accords. The peace and cooperation treaty is still in its infancy, but Silver Mercant plays a central part as the coordinator of a joint emergency response network. That’s exactly why somebody tries to kill her. It’s only due to chance (and his growing obsession with her) that Valentin, alpha of the bear changelings, catches wind of the attempt. He knows that Silver needs a place to lie low and he can give it to her. And maybe he can give her even more. Silver Silence is the start of a new story arc of the Psy-Changeling books – officially the start of Season 2. Having followed the series from the beginning, I can’t say that I feel much of a break between Season 1 and Season 2, but that doesn’t matter because it achieves again what I’ve come to expect and love from the series. 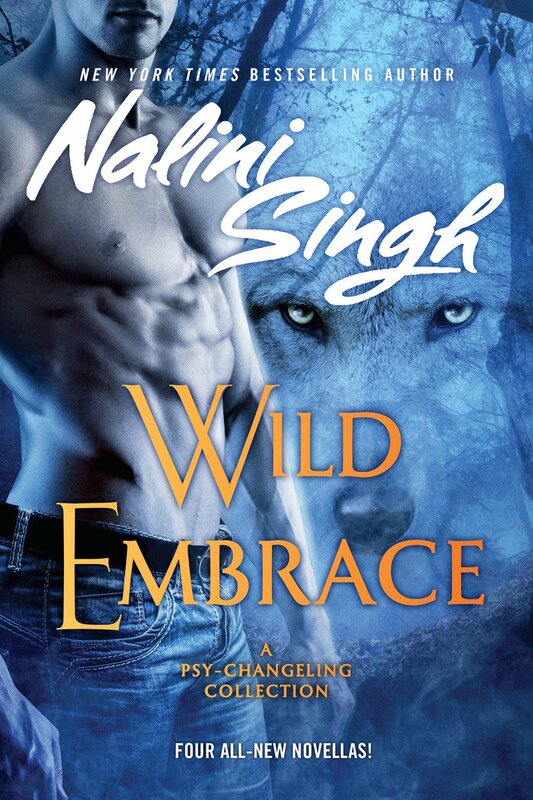 Wild Embrace is a collection of novellas in the Psy-Changeling Series by Nalini Singh. Wild Embrace is a nice collection that will please fans of the series. It’s probably not a good starting point if you want to get an impression of that particular series as it does require quite a bit knowledge of the world. I definitely enjoyed it, some parts of it more than others. After the jump, I’ll talk about each of the novellas separately. 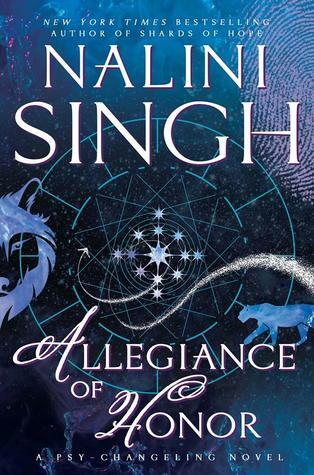 Allegiance of Honor is the 15th Psy-Changeling novel by Nalini Singh. It concludes the first “season” of the series, with the second season known as the Psy-Changeling-Trinity-Series. The Trinity Accord between Psy, Changeling and Humans is supposed to be a stabilizing factor that brings the world together after Silence has fallen. But not everybody is happy with that solution. The symbol for the new world order is Naya, the daughter of Lucas Hunter – leopard changeling and leader of DarkRiver, one of the biggest changeling groups – and Sascha – cardinal empath psy and the first to publically defect from Silence. So the Consortium – Trinity’s biggest opponent – want to kidnap her. But Naya is not the only (proposed) victim. Many changelings have already gone missing, especially the loose-knit water changelings. When a new clue to the disappearance of one of them appears, water changeling alpha Miane asks the other changeling DarkRiver and SnowDancer for help. Allegiance of Honor deviates a little from the usual Psy-Changeling formula (and it is a formula) as it is an ensemble book. And I have to say, I greatly enjoyed the look back at many of the characters that haven’t featured so prominently since their own books. 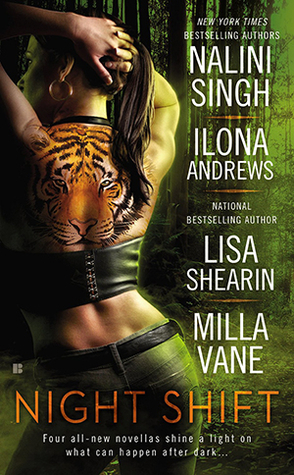 Night Shift is a paranormal novella anthology with works by Nalini Singh, Ilona Andrews, Lisa Shearin and Milla Vane [aka Meljean Brook]. As an avid reader of Singh’s Psy-Changeling series, I had to grab this anthology, of course, even though I’m not familiar with the other series that were featured with novellas here. The resulting collection and my reading experiences were pretty mixed. It’s a quick read in any case. After the jump I’ll talk about the four novellas separately. 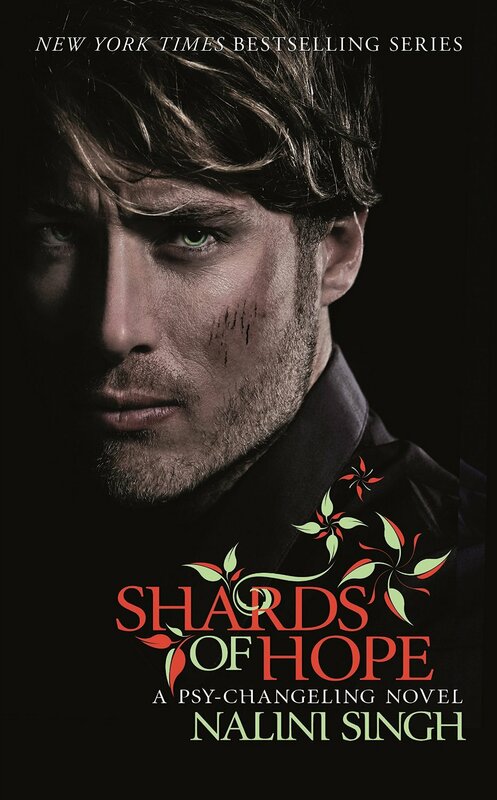 Shards of Hope is the 14th (if I’m not mistaken) Psy-Changeling novel by Nalini Singh. Aden and Zaira wake in a cell together, both wounded and without any idea where they actually are. Fortunately for them – and unfortunately for their captors – they are both highly trained Arrows, elite soldiers. As they fight their way back home, they must lean on each other. But they can’t do so too much – not only because being an Arrow requires making hard decisions and not only when they are being hunted by an unknown enemy, but also because Zaira desperately needs to remain Silent, emotionless, or else risk falling apart. Shards of Hope is a nice entry into the Psy-Changeling Series, especially because it opened up the world we got to see so far and included other packs and people we hadn’t really known before and because it nicely pushed the overarching plot along, while at the same time having two likeable leads on the micro level. Vasic is an Arrow and has been for a very long time. As a true telepath, he was and is an important tool for the Arrows and one that has seen quite some misuse and abuse in his time. Now he is about to break and his best friend and leader of the Arrows Aden gives him a new assignement: to guard Ivy, one of the few empaths they are trying to build up again in the hope that it will halt the decay in the PsyNet. Because that decay is taking over and threatens their entire race. 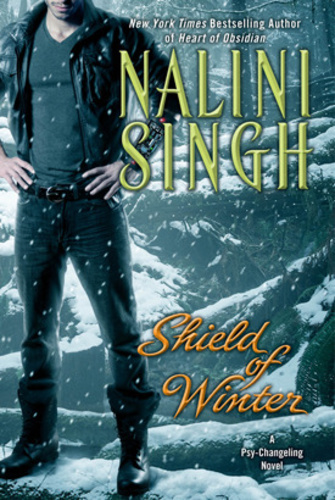 Shield of Winter was the usual Psy-Changeling fare by Singh. 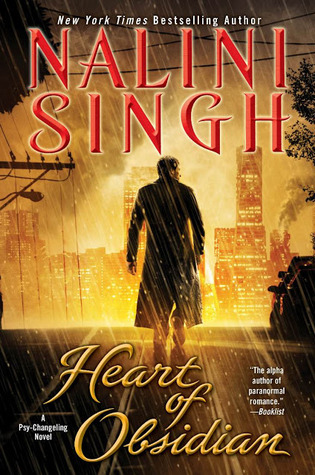 I enjoyed reading it and I especially enjoyed the background development of the world, though I also liked Vasic and Ivy, even though I did think that Singh chose the wrong pairing with this one. Kaleb Krychek is one of the psy council. Or he was when that still existed. He is definitely one of the most dangerous people in the world. He’s been looking for Sahara for years. She has been missing, kidnapped because of her abiliteis. Now he finally found her, though he is not sure how much of her mind is actually still there. If it turns out that she was destroyed, Kaleb knows he’ll make the world pay for that. Heart of Obsidian had a couple of things I didn’t like so much but most of it was awesome. I flew through the book and would have no trouble reading and enjoying it again. 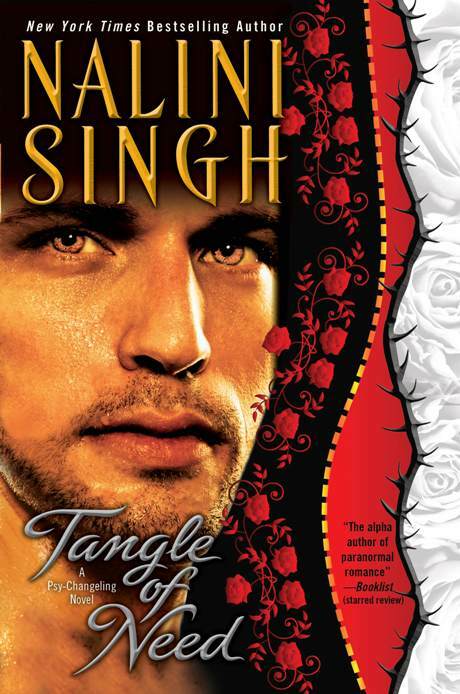 Tangle of Need is the 11th book in the Psy-Changeling series by Nalini Singh. [Here are my reviews of the other books.] It’s Adria’s and Riaz’ story. Adria and Riaz are both soldiers in the SnowDancer wolf pack, pretty high up in the hierarchy, though both only recently found their place in the local pack structure – Riaz used to be stationed in Europe, while Adria lived in another territory. And both are trying to leave their pasts behind. As the conflict with(in) the Psys continues, Adria and Riaz have their own demons to fight – and their attraction to each other that neither wants to feel. Tangle of Need drew me in very deep again. Though I might not feel the same excitement about this series that I did in the beginning, the books are still fantastic reads and exactly the right thing for me when I’m in the mood for fluff. Kiss of Snow is the tenth Psy-Changeling novel by Nalini Singh. [Here are my reviews of the other ones.] It’s Hawke’s and Sienna’s book (though it also tells Walker’s and Lara’s story). Ever since the Laurens joined the SnowDancer pack, Sienna Lauren and alpha Hawke have had a special kind of explosive relationship. Now Sienna has come of age and Hawke can’t deny their chemistry together anymore. While they try to figure out the new terms of their relationship, SnowDancer gets continuously attacked by the Psy council, or at least a few renegade parts of it. Kiss of Snow takes a bit to get started – about 200 pages or so. But once it moves away from Sienna and Hawke angsting around and gets into the conflict with the Psy council, I enjoyed it a lot.